Image caption "With the greatest respect..."
Plenty of Americans working in the UK have complained about British passive-aggressiveness, or their annoying tendency to beat around the bush. 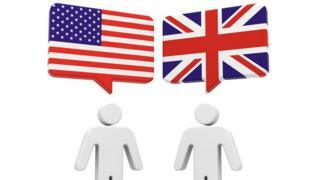 What do Brits think about Americans? But UK expats have also complained about American insults directed at Brits. Bless her heart! This phrase is a bit of a put down, effectively allowing the speaker to slag off someone without recrimination.